RME FireFace UFXRME was showing off the new FireFace UFX interface. Using what appears to be the same LCD screen as the JoeCo BlackBox (and probably a lot of digital cameras...), the UFX sports a really slick, high resolution display right on the front panel. Featuring a significant 30 channels of I/O, and the very slick TotalMix FX software, the UFX gives you more options for routing your audio around than almost any interface I can think of. There are 4 high quality pre-amps, 16 channels of ADAT I/O, AES/EBU and 12 channels of balanced line I/O. It interfaces with FireWire 400 and USB 2.0, and as you can see, occupies a single rack space. RME has always been known for extremely high quality conversion and interfaces, and I expect this one to be no different. We've been using the MADIFace for six months, and it's been absolutely rock-solid. 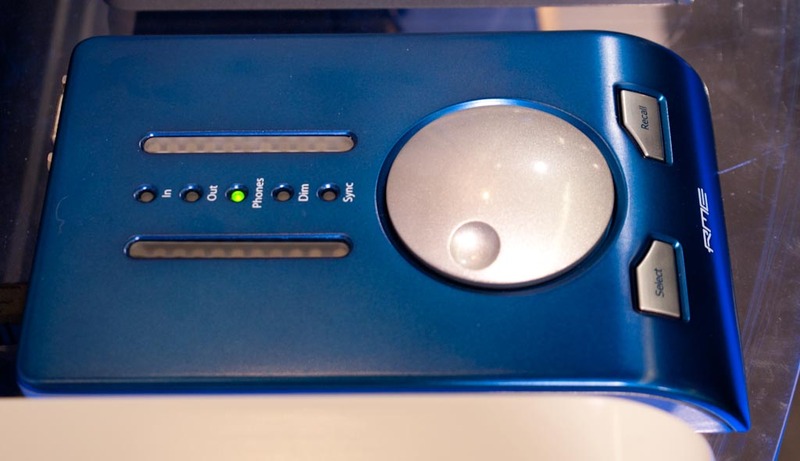 RME BabyFaceAnnounced at InfoComm and now shipping, we also saw production models of the BabyFace. 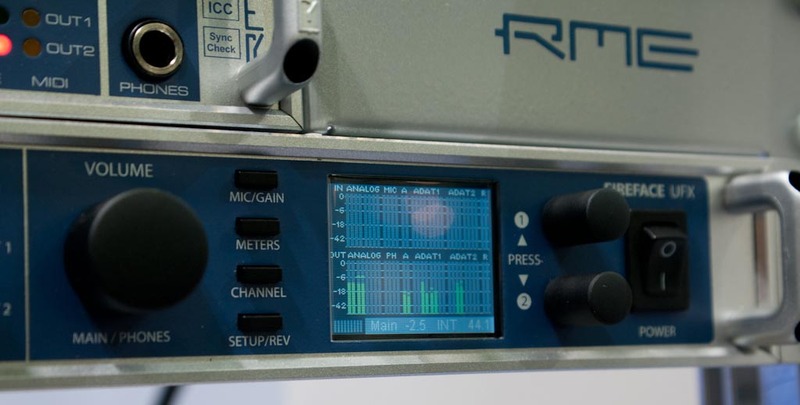 This is RME's answer to the Apogee Duet, only with more features. Whereas the Duet offers a 2x2 analog I/O, the BabyFace 10 input and 12 output channels! You get 2 analog inputs, 4 analog outputs, 8 channels of ADAT (or 2 channels of S/PDIF) I/O plus MIDI I/O. There are two high-quality mic pres plus a dedicated line input. Most of the I/O is handled by a breakout cable, though there are headphone and line in jacks on the side of the unit. Like everything else RME makes, it's very well made, and while not cheap, is a good value. Expect to pay about $750 street.